It’s the day you’ve dreamed of and planned for. Next to saying “Yes”, choosing your elegant image may be your most inspired decision. This book will help you create your polished image. Sleek & Sophisticated…..A guide to choosing your perfect wedding gown and accessories. Make up techniques that will enhance your beauty, especially in your wedding portraits. Here you will learn all the hints, tips and secrets from a professional wedding photographer through her lens. Let Amie’s experience of seeing 655 brides pass through her lens work for YOU! This guide will help you create your wedding image to be dazzling and flawless! 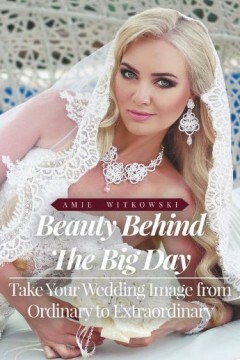 Amie Witkowski remains one of the most passionate wedding photographers in the industry today. She blends beauty and timelessness of elegant wedding portraits with the spontaneity and appeal of photojournalism. Let her experience of photographing over 655 weddings work for you! Amie will reveal all the hints, tips and secrets on taking your wedding image from ordinary to extraordinary. She resides in St. Joseph, Michigan, named “Michigan’s Most Romantic City” by Detroit Free Press. Today, it remains a very popular area for destinations weddings along the shoreline of Lake Michigan. Don’t let me be stuck in a world of black & white. Color my world and make it bright. Plus other drawings of a verity. 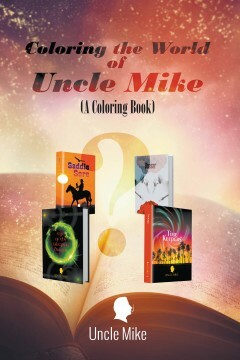 Uncle Mike is a writer and former welder who loves to write short humorous stories for the young and the old. He is married to his wonderful wife, Valerie, and they have a son together. And they are enjoying a life full of adventures. Other than writing, he is also interested in arts and in science. And if you’re interested, you can check out his other books entitled Eye of the Sleeping Dragon, Time Keepers, Quasar and Saddle Sore. An author always looks for an angle when writing fiction which Beaupré has done with this novel. He came up with revenants or ghosts for all of his characters as a way of weaving the story together without making it a documentary of Rosa Bonheur’s life and paintings of animals. 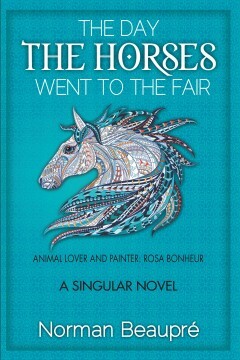 The author has conjured the likes of a Mozart, a Cervantes and Sir Walter Scott while including other creative artists that influenced Rosa Bonheur. He has also incorporated the descriptions of the Bonheur paintings by herself, the artist, and by her close friend, Anna Klumpke. He has created what he calls a singular novel in that it is not all fiction but an amalgamation of biography, art history and some fiction to make it a creatively cohesive work. The author even intrudes into his work to give it a personal and lively touch. Norman Beaupré, Ph.D. was born in Maine and pursued his graduate education at Brown University. He taught over thirty years at the University of New England in Maine where he is presently Professor Emeritus. He has traveled extensively and spent two sabbaticals in Paris. He has written and published twenty-one books in English and in French. In 2008, he was awarded the medal of “Ordre des Arts et Lettres” by the French Ministry of Culture and Communications in Paris for his outstanding contribution to French culture.